Most travelers to Europe dream of iconic destinations such as London, Paris, Amsterdam and Rome. Outside of these main hubs is a wealth of scenic charms under the radar. Among these jewels is Flanders, the northern, Dutch-speaking region of Belgium. It’s definitely not a destination to be missed on the European itinerary. Flanders has much to offer, including a lively industry of fashion, cuisine, art and architecture, and of course beer. 1) Antwerp is Flander’s largest city and site of the Rubenshuis, former home of Peter-Paul Rubens, The Chocolate Line, a delicious chocolatier, and the Antwerp Fashion Museum. It’s a lovely modern town that still wears its medieval heritage with pride in historical buildings, squares and streets. 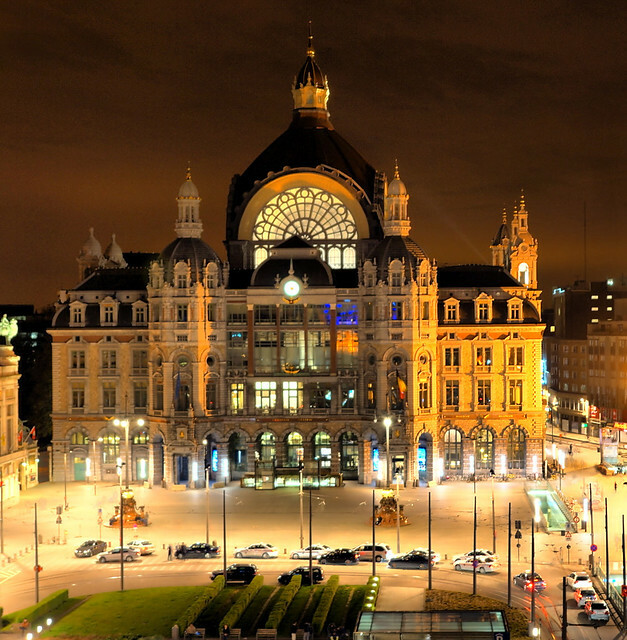 Major sites of interest include the Antwerp Central Station and the Onze-Lieve-Vrouwekathedraal. 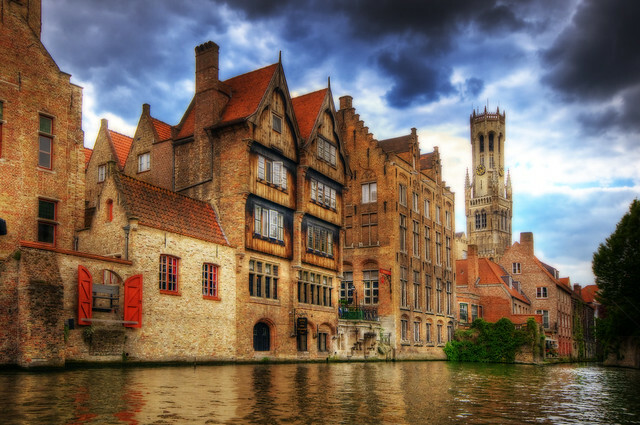 2) If there’s one town high on the tourist’s radar, it’s Bruges, the famed and canaled “Venice of the North.” And it’s no wonder with its romantic canals, culinary succulence, and the wonderfully preserved medieval architecture. Declared a UNESCO World Heritage Site, its old district houses some incredible buildings—some major points of interest are the Halve Maan Brewery, the Belfry, the Beguinages Nunnery and any one of its 55 chocolate shops. 3) Ghent is a gorgeous medieval city that still manages to avoid the worst of the tourist crowds. Ghent is a university town, and this means plenty of cafes, affordable eateries, and a relaxed atmosphere—a perfect setup for any flâneur. There’s no reason why Ghent should remain undiscovered, with its magnificent Opera House, 18 museums, 100 churches, Castle of the Counts, and over 400 historical buildings. Thursdays are “Veggieday” here, a city-wide event to promote meat-free meals once a week. 4) Also check out Courtray, with famous medieval towers; Leuven, an old town with an old university and elegant town hall; Mechelen, a small town with a famous cathedral-hotel; Sint-Niklaas, hosting Belgium’s largest market square; and Ypres, famed for its war memorials and museums. Flanders offers some of the best in exclusive couture. Visit the kitsch rack at Zsa Zsa Rouge in Ghent, the quality tailors at Café Costume in Brussels, the old leather goods at Delvaux Brussel. Don’t forget that Belgium also has the largest diamond industry in the world. 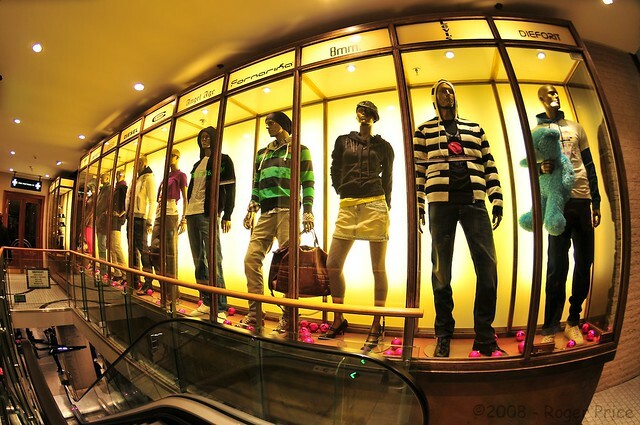 If shopping is your thing, check out the trendy fashion center at Rue Dansaert or Dansaertstraat in downtown Brussels. Flanders is known for its rich contributions in architecture, design, and the fine arts. The lauded Flemish Renaissance originated here, and contributed to later baroque and engraving movements, heralded by Peter Paul Rubens and the Sadeler family respectively. In modern times, Flemish artists have inspired the international fashion scene—during the 1980s the Antwerp Six was a collective of avant-garde designers who helped but their hometown on the artisan map. Tourists might recognize the Art Nouveau styles that decorate the town squares, or influencing artists such as the sculptor Panamarenko and comic book artist Hergé (known for his Tintin books). The history buff has plenty to see in Flanders, home to ample historical monuments and battle sites. Perhaps not a well-known modern battlefield as France or Germany, but Belgium has seen some of the worst of the two world wars. During the First World War, the three battles of Ypres resulted in hundreds of thousands of casualties, and prompted the composition of John McCrae’s famous poem “In Flanders Fields.” Check out the In Flanders Fields Museum in Ypres, which focuses on personal stories and houses more than 500 original objects and documents. Flanders has seen several notable battles and conflicts—including the Schlieffen Plan and Germany’s invasion, the Battles of the Yser, Belgium, the Scheldt, the Ardennes Offensive, and skirmishes under the Belgian resistance against the Nazis. For a chilling exhibition, visit Dossin Barracks, the execution site of tens of thousands of Jews from 1942 until Belgium’s liberation in 1944. Flanders is a great location for the foodie tourist. Offering a wide selection of delicious and world-renowned chocolate, waffles, fries, asparagus, and dishes cooked in beer. We’ve taken a look at some of the beer recipes Belgian chefs are tapping into, and they certainly are stunning: Panna Cotta with white chocolate and Hoegaarden (wheat beer); Chocolate Lavacake with Belle-Vue Kriek (cherry lambic); Carbonnade à la Flamande Short Ribs, cooked with brown ale and stout. As for the drink itself, Belgian bars continue to add more and more beers to the country’s expanding repertoire. Beers range from browns, ambers, goldens, to pilsners, whites, lambics, and trappists—ensuring is a flavor for every beer aficionado. 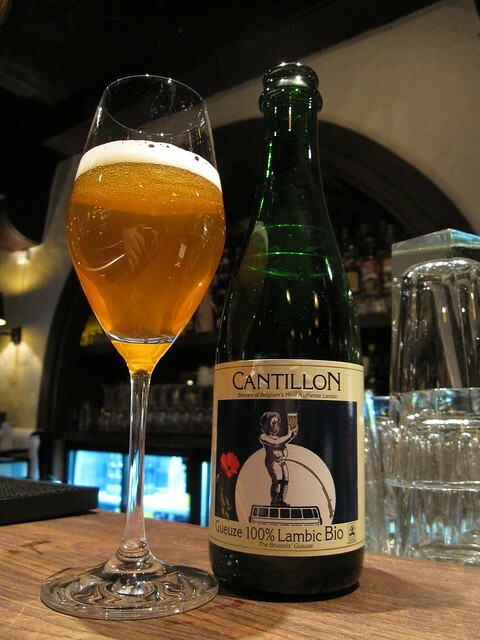 The markedly Belgian lambic and trappist styles are not to be missed. A trappist beer is a beer brewed in one of seven Trappist monasteries utilizing centuries-old techniques and local yeast for a distinctive flavor. They are labeled with Authentic Trappist Product logo that ensures authenticity. Lambics are a treat for both wine and beer lovers—these are beers that are fermented by the yeasts in the Zenne valley, rending them dry, vinous, cidery, sparkling—and often fruit (raspberry, peach, blackcurrent) is added for flavor and to trigger second fermentation. If you have time, don’t miss the Fries Museum or Frietmuseum in Bruges, housing educational exhibits, tours, and tasty samples in the beautiful building of Saaihalle. For a real treat visit the incredible chocolate museum Choco-Story and learn the history of the cocoa trade—with samples, of course. True “Belgiumophiles” will appreciate Dreupelkot, a bar with over 200 kinds of jenever, the strong juniper-flavor liquor native to this land—and, perhaps little known, the ancestor of gin. Best time to visit? Flanders tends to have weather similar to London, and therefore great to visit any time of the year. If you prefer a low season, take a look at the winter months since it never gets super cold—if you prefer festivals and outdoor markets, try the summer. Transport. Rail is the most convenient mode of transport in Belgium, and recommended to tourists over car rental. You may also enter via several airports, highways and docks. As Flanders is mostly flat, cycling is very popular and the natural scenery along the bike paths is charming. Hotels. 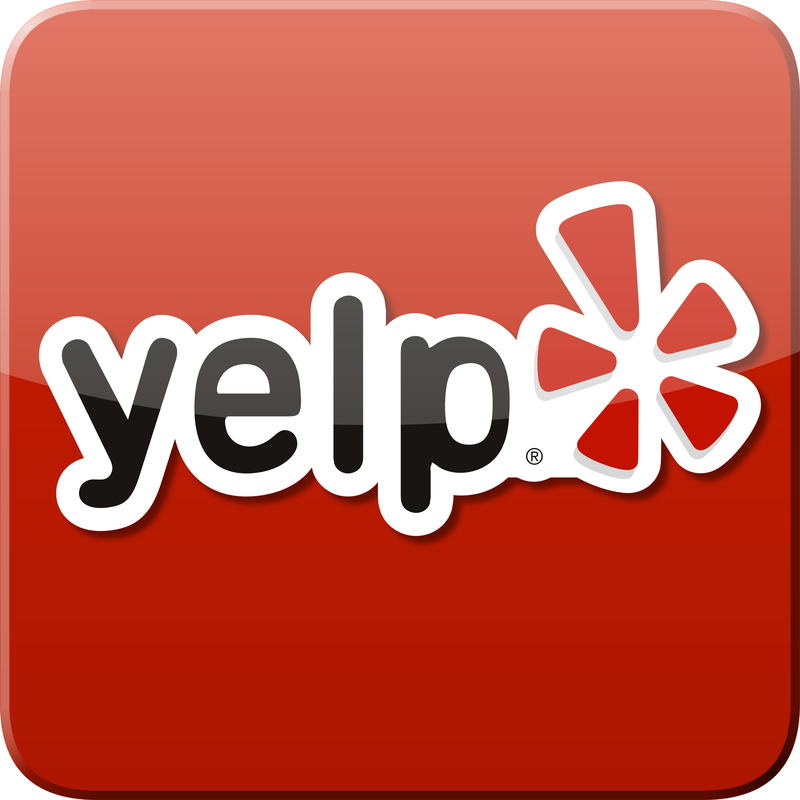 If you are headed to Brussels, ask your agent about weekend deals in four to five stars. Due to the high amount of business travelers going through the capital during the weekdays, the weekends are the prime time to head over for the tourist! For a unique stay, spend a night at Martin’s Patershof, a cathedral-turned-hotel in Mechelen that has retained its original design, stained glass, and interior polish. Speak. It is generally best to avoid speaking French with Flemings, as this is politically disrespectful. Most people speak Flemish (a form of Dutch), English or Dutch. Tours. Brussels has a great hop-on, hop-off tour at 12 different tourist hotspots that is valid for 24 hours. 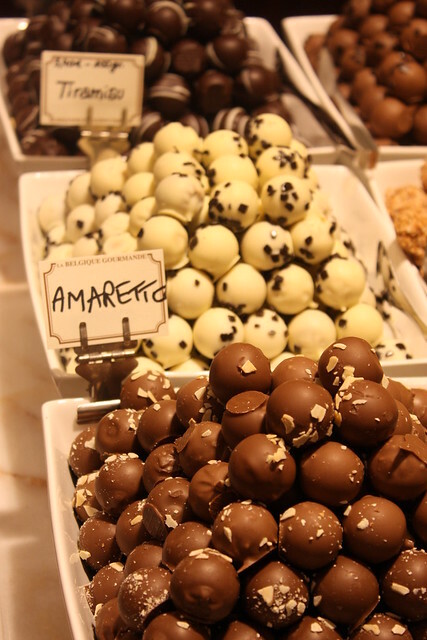 There are also a number of walking, history, and bus tours and, as Flanders was made for foodies, a variety of tours specializing in chocolate, beer, and other culinary delights. Interested in adding Flanders to your European itinerary? Or flying into Belgium specifically? Email us for more information at info@wittravel.com or call us at 800.821.0401 to book a vacation! Filed under Belgium, Europe, Features, Where in the World is the WIT Client?